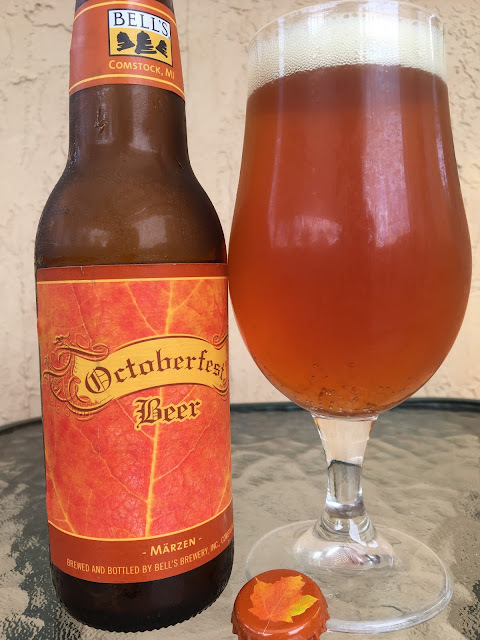 Today I'm checking out Bell's Octoberfest Marzen. 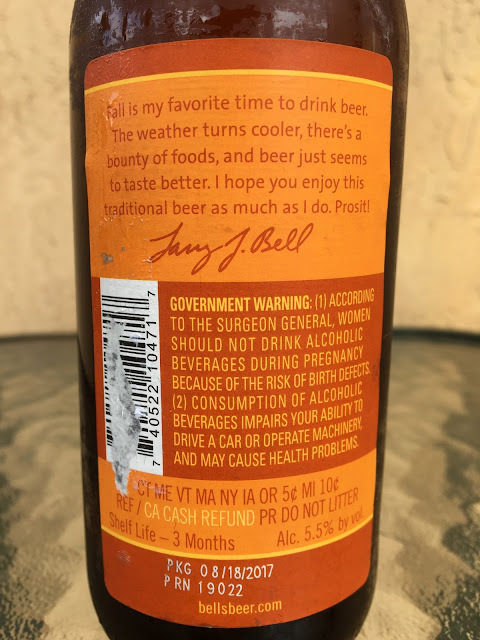 Larry Bell let's you know on the label that Fall is his favorite time to drink beer. In Miami, his rationale disappears as the weather is always oppressive. I hope my wife reads this and finally listens how much the temperature here blows! Come on, Babe. Let's move to Atlanta or NC! Nutty and herbal aroma. Same flavors to start, nutty and herbal, with some black bready notes. Nice balance, good flavors. The end. Let's move to winter beers!